I started out this summer with a knitting bang. I had plans, patterns, pretty yarns, design ideas, dyes, blank yarns, I was all set to go! Creative juices were flowing, life was good. I was even shown a little knitting gods mercy with some lousy summer weather. You may all hate me for this but I’m loving the cool summer, more time for warm wools and alpacas. I mean, it’s too warm to WEAR such items but not too warm to knit with them. 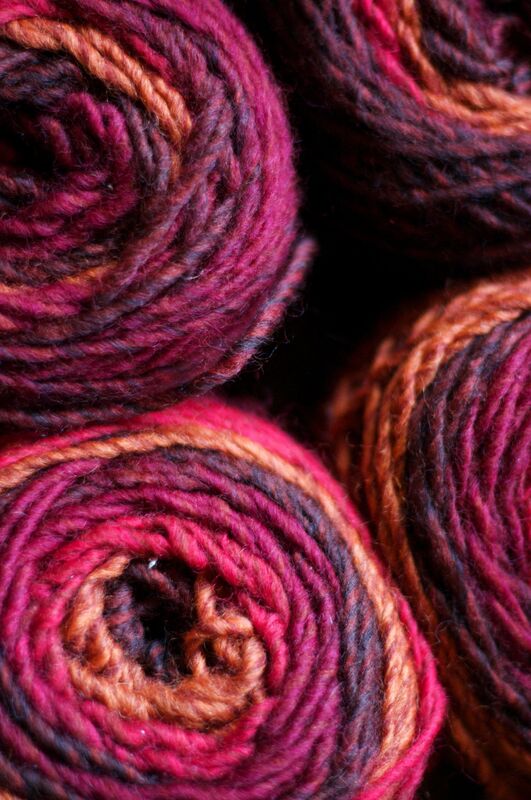 A few months ago I even organized my stash of yarn (more than slightly out of control but that’s a story for another time) and I went trolling on Ravelry to match up my yarns with some great patterns. I was even going to knit the top 10 Ravelry designs before the summer months were out, or at least before December. Such grand ideas and lofty goals. Then nausea hit. I am too nauseous to knit and the constant sound of clicking needles has gone quiet in my home. It’s a knitters worst nightmare! All the yarn, patterns, and needles are just sitting there, begging to be used. New yarn and patterns are flowing into the shop and I must sit idly by and try to keep my digestive system under control. My husband even asked (in a more than concerned tone) “Is the knitting phase over, because we still have a LOT of yarn…..”. I even tried casting on for these beautiful mittens, trying to power through but to no avail. It’s a knitting disaster. It’s like my knitting life has ground to a halt. So, over dramatic Alexa aside, I hope you are all ready for some knitting spring/summer cleaning and I have a few suggestions for getting started. I hope you all have better luck with the follow through than I did! To organize your knitting world start with your stash. Once you know what you have/need you will be better able to go out and start new projects. 1. Pull out those long hibernating projects and get back at it. The best thing about starting here is that the projects feel like they take no time because you are probably already half way done, or more! If you’re stuck on a technique you can swing by the shop for a quick tutorial, or if it’s a bigger problem sign yourself up for a QnA, a private class, or something more substantial like a Beyond Beginner class. Amanda and Sandra are teaching those classes and they are both fantastic, you’ll learn what you need to finish up a project and much more. 2. Re-assess your pattern/yarn match ups. Have you bitten off more than you can chew? Or are you just rethinking a certain cardigan? If you need a new pattern to go with your yarn you can head on over and we will be happy to match up your yarn with a new pattern. It is most helpful if you record the gauge and yardage of your yarn, or bring in a ball and let us know how many you have at home. 3. If you’ve got a pattern that is going to become your summer pet project it’s time to pick out some yarn. 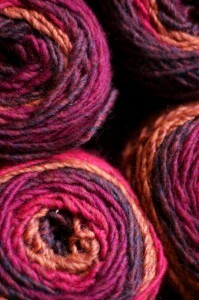 As you may know, this is my favorite part of the day working at UY, picking yarn to match a pattern. Once you have completed these steps, all there is left is knitting! Get to it! This entry was posted on Monday, July 5th, 2010 at 10:12 pm	and is filed under Uncategorized. You can follow any responses to this entry through the RSS 2.0 feed. Both comments and pings are currently closed. Another good one. I can just hear Gary’s voice re “the Knitting Phase”… I know it is one phase that seems to have stuck for a lifetime for me. Could be worse , couldn’t it?